Business commerce platform Tradeshift has unveiled Tradeshift Frontiers, an innovation lab and incubator designed to apply emerging technologies like artificial intelligence (AI), distributed ledgers, and internet of things (IoT) to business networks, supply chains, and global trade, reports David Penn at Finovate (FinTech Futures’ sister company). Co-founder and GM of Tradeshift Frontiers Gert Sylvest says it will use emerging technologies to “make trade more inclusive, empowering, transparent, and sustainable”. Applying blockchain technology to areas such as supply chain financing, asset liquidity, and supply chain transparency is one of the initial goals of Tradeshift Frontiers. The company points to its role as a governing member with the Hyperledger project as one reason the company will be positioned to make an “industry-wide impact” in terms of using blockchains to “enable new incentive models to collaborate across the supply chain”. 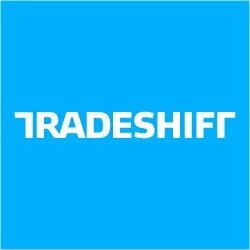 Tradeshift connects more than 1.5 million companies in 190 countries, and is on course to process more than $500 billion in transaction value. The company offers procure-to-pay, supplier engagement, and financial services to its business clients, and enables its partners to leverage its business commerce platform to build their own apps. At the start of 2018 it is partnering with Infosys to digitise its clients’ supply chain management; and Panalpina World Transport selected Tradeshift to support the digitisation of its procure-to-pay process. Founded in 2010, San Francisco-based Tradeshift has more than $182 million in funding. It includes Wipro Ventures, Data Collective, Scentan Ventures, Kite Ventures, ru-Net Holdings, Notion Capital, and PayPal among its investors.